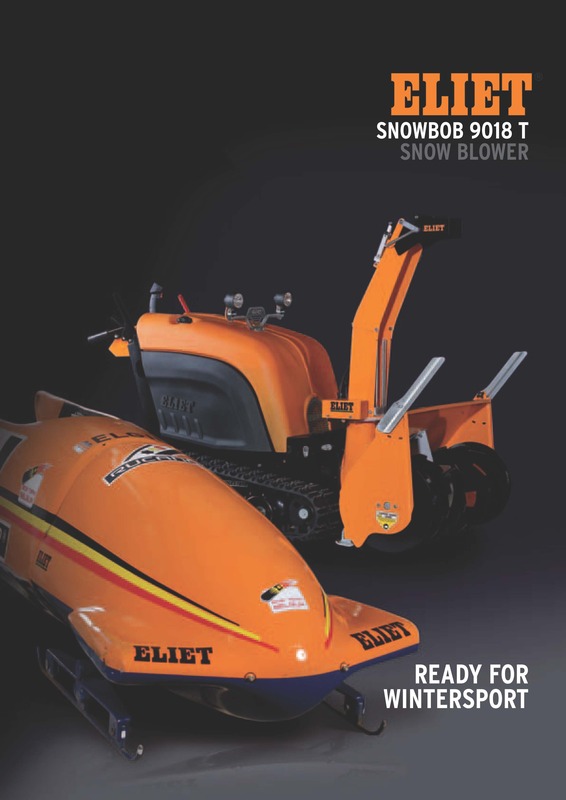 Endowing its Snowbob 9018T with power, speed, simplicity and comfort as the most important design criteria, ELIET has created a compact, powerful, high-performance machine capable of dealing with the most daunting tasks of snow clearing while maintaining a total focus on achieving the desired results. The motor of the machine is completely built into the housing. The cool air that keeps the motor and the transmission at the optimal operating temperature is likewise being redirected inside the machine so that the now warmed air is channelled into the operator's direction. Via a large grating at the rear of the machine, this warm air is blown onto his lower body, while a small grating above and at the side of the control dash board also directs this flow of warm air onto his hands. Likewise, the handles of the machines are warmed by the same hot air flow. Professional operators that have to use the machine on a daily basis are very appreciative of this extra touch.